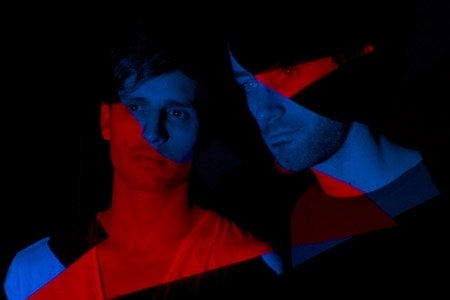 Following the release of their 'Tokyo Getaway' and 'We Have A Visual' EPs, and remixes of tracks by the likes of Cut Copy and Human Life, Polygon Palace went A.W.O.L. The sheer pressure of writing bios and having to describe their sound to interviewers caused the duo – Gabriel Crossan and Adam Ferns – to break up the band. Citing physiological differences they went their separate ways, which coincidentally led them to the same place. After starting rival K-pop bands and touring relentlessly, they found themselves playing the same dates in North Korea. Determined to outdo each other, they blew their entire budgets on elaborate stage shows, leaving themselves stranded with nothing but giant robotic bears and four tons of plastic cats' ears. In a desperate bid to flog the remaining merch, the duo set aside their differences to produce an epic album of leftfield electropop: Polygon Palace's 'Sunburnt Shadows', their last hope for escape. Polygon Palace – 'Sunburnt Shadows' out now on Escapade Records.